Urban Legends. The Supernatural. Creatures. Dark Omens. Folklore, with its blend of reality and fantasy, serves to teach us about communities of the past while allowing us to find meaning and wonderment in the present. The legend of Detroit’s Nain Rouge is one of controversy and reverence. 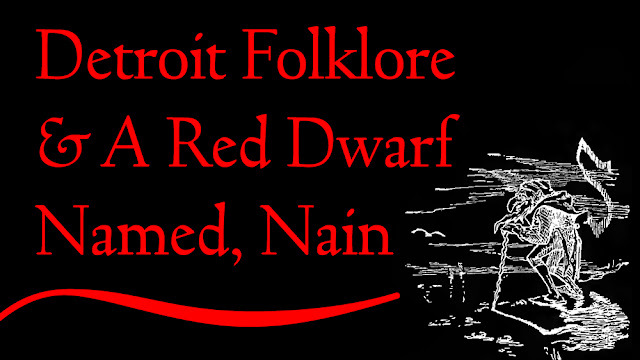 French for “red dwarf,” the Nain is a folklore creature who is bound up in the very founding of the city and whose appearance is noted in times of the Motor Cities darkest hours. If the little legacy was not passed down from European colonists, the Nain is thought to have his origins tied to native Algonquian peoples and their creator god Glooscap, who birthed dwarves and fairies as protective nature spirits. Their roles were ones of guardianship and care for the communities they presided over. Considered under that light, the early Nain lore cast him as the cities defender whose appearances to humans served as heralds of consideration. The popularization of the Nain Rouge myth has nevertheless taken on a darker orientation. The malevolence associated with the dwarf has earned him the role of “harbinger of doom.” This is easy to understand – just watch the news, doom sells. All of the terrible misfortunes the city of Detroit has suffered have come to be associated with Nain, who is widely believed to derive a twisted pleasure from all the mayhem. So much has been made of the urban legend that a couple of law students at a local college decided to organize an anti-Nain march to take place yearly following the March Equinox. 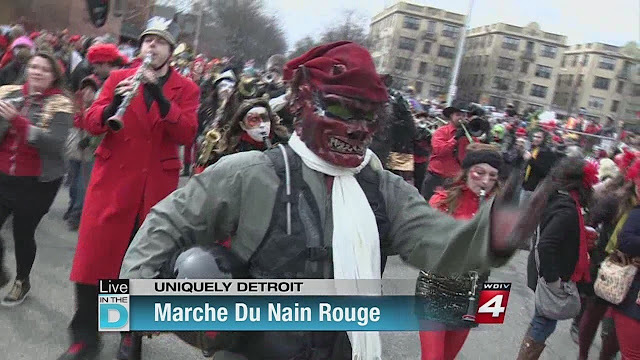 Formed in the shadow of the Great Recession that hit the Rust Belt particularly hard, Marche du Nain Rouge, was a way for Detroiters to regain a sense of power and control by banishing the so-called scourge of the city. 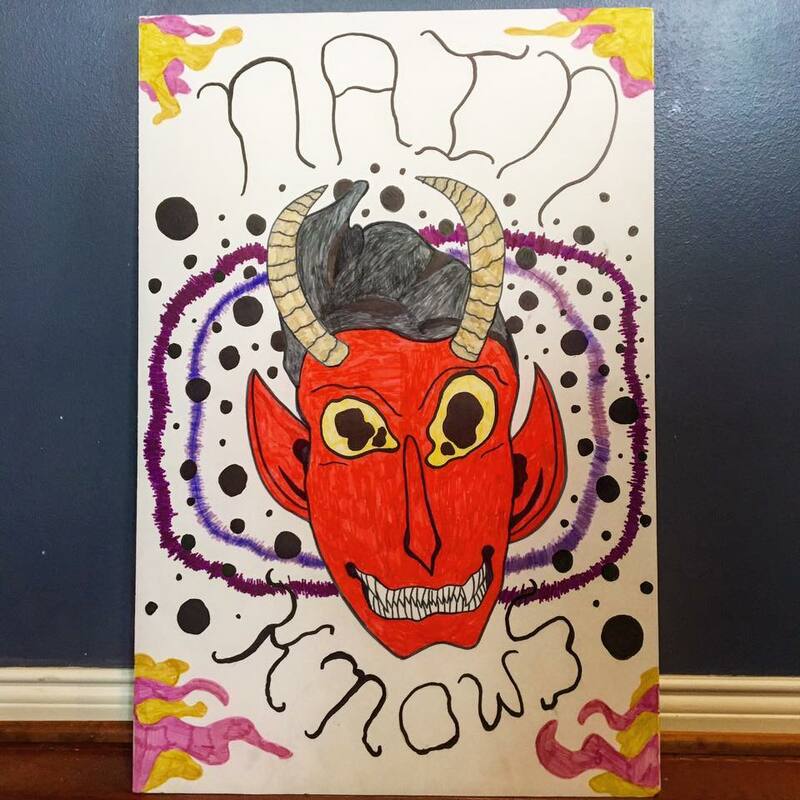 In a festive, Mardi Gras meets Halloween atmosphere, a devilishly characterized Nain leads the ruckus marchers through the city while hurling vile one-liners against them. The paraders storming after him creates a ritual akin to the driving out of a witch with pitchforks. Of course the spirit of the march is meant to be a light-hearted roast of a mythic character whom empowered residences can drunkenly cast out to secure another year of good fortune. While the event succeeds in bringing together crowds in a prideful celebration of the creativity and resilience of a beleaguered metropolis, it does so at the expense of a mythical creature who could just as easily be seen as a symbolic protector rather than taunting troublemaker. Perhaps we can look to the portrayal by Charles M. Skinner from his 1896 book, Myths and Legends of our Lands, vol. 6 as the catalyst for associating Nain with all that is evil and destructive. As recorded in the regional myths further expounded upon by Skinner, Nain enters the historical timeline in 1701 in connection to Detroit’s notorious Anglo-founder. According to the lore, the French explorer and settler, Antione de la Mothe Cadillac, was said to have been visited by a fortune teller who predicted great success and bounties to him on the North American continent, but also provided grave warnings to beware the appearance of a red imp that represented his own prideful ambitions, anger and enviousness. 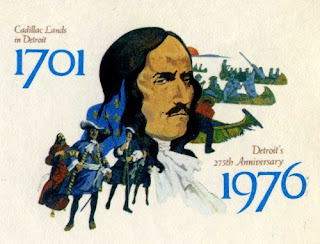 Being the arrogant fur and alcohol trafficker that he was, Cadillac paid the psychic no heed and soon founded Fort Pontchartrain du Détroit on the straits between Michigan and Ontario. When the fateful day of confrontation arrived, the Nain is said to have interrupted Cadillac’s walking path, which earned him a hard whack over the head. The little dwarf apparently scurried off, cackling mischievously. After some years and jail stints, the once rich and powerful Cadillac returned to France, where he died a destitute man. The ruinous end of Cadillac’s storied life is meant to stand in as proof of the Nain’s hexing power. Once archetypally cast as the villain, Nain is rumored to have made appearances prior to a number of catastrophic events visited upon the emerging cultural center. Later appearances have been noted at The Battle of Bloody Run in 1763, which brought 58 British soldiers to their demise during a clash with Chief Pontiac’s tribe. Nain was spotted again in 1805 in the days before ravaging fires that nearly consumed the entire city. 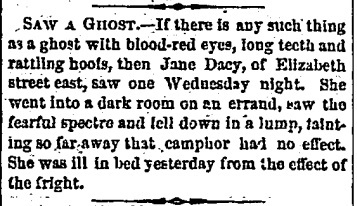 19th Century news columns carried personal reports of odd attacks at the hands of a “red-eyed and hoofed figure,” now assumed to be the Nain Rouge. While the city boomed in the first half of the 20th century, propelled into international fame by the automobile and bustling assembly line, the later half saw racial turmoil, riots, white flight and street crime decimate it’s prosperous standing. Of course the 21st Century bankruptcies of two out of the three hometown auto-manufacturers added insult to injury during a time that will be forever remembered for it’s countrywide economic calamities. Not to mention the cities feloniously criminal kingpin mayor, Kwame Kilpatrick, who throughout his 02-08 reign, bamboozled and betrayed the city to the count of millions. If one cared to, all of the sad stories above can and have been pinned on the little, red one. 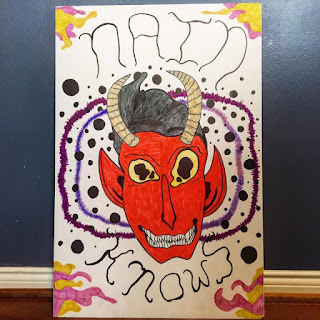 These fables have me wondering if the Nain demonizing is silly a matter of Puritan Westerners misunderstanding the purpose that gnomes, faeries, dwarves and other elementals play in their historical relationships with humans. Faeries for instance have become reconstructed as little flying princesses when in fact faery lore tells us something much different about their inconsistent ethical nature. The way in which a faerie behaves during human contact is largely predicated on the human's intentions and manor of approach. Even considering that one example, we can easily see how manipulation and recasting of mythical creatures confuses the picture over time. If Nain's lore, specifically the simplified version presented by the Marche organizers is accepted at face value, it’s no surprise that hundreds of spectators and participants turn out each year to run Detroit's bedeviled dwarf out of town. 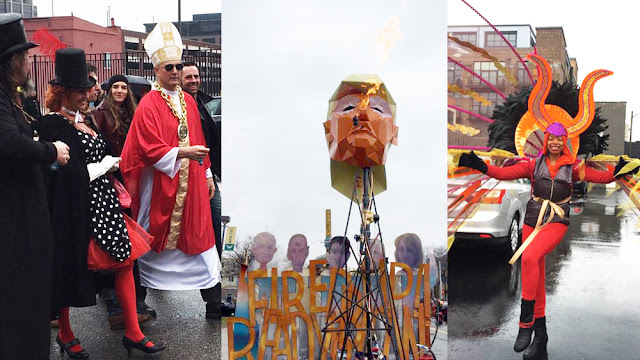 In an odd bit of synchronicity, in the years following the initiation of Marche du Nain Rouge, the press on the city has mostly been centered on creative rebirth and economic regeneration. That being said, a small contingent of Detroiters headed up by paranormal investigator, John E.L. Tenney are pushing back against the Nain shamming. I myself ventured out into the fray to observe the scene. Tenney calls his mythic rehabilitation faction, We Are Nain Rouge. While their numbers are smaller than the marchers along the main road, when I serendipitously bumped into him along the sidewalk of Cass Avenue, he informed me the counter marching ranks grow with each year. Tenney and his team shadow alongside the march, strategically positioning themselves on the avenue while displaying signs featuring phrases like “Stand Tall for Small,” “Don’t Tread on Red” and Be Nice 2 Nain.” These friends of Nain contrarians cite the fact that Nain as Detroit’s oldest citizen is one of many reasons he should not be banished. Their demand is a parade held in his name founded on the basis of celebration and gratitude, not fear and misinformation. Tenney’s 1950’s gumshoe style clashes with the circus-like marchers that showcase a blend of Burning Man crust punks, Caribbean dancers, flaming baton jugglers and a gamut of pop-culture cosplayers. Multitudes of street performers, custom bike gangs and marching bands made for an energetic and visually dazzling scene. While there were no floats on display, there was a fire-breathing, cast metal head of President Trump that stole the show. Point being, it’s going to be an uphill battle for the naysayers to win over fans of the style freaky, intoxicated flamboyance I witnessed. Even if the truth is on their side. 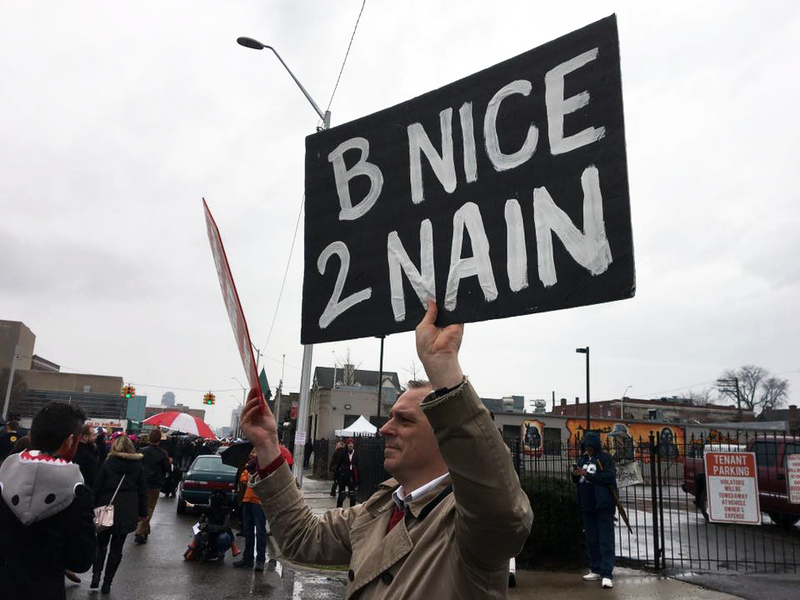 Many of the passers by of Tenney and his pro-Nain signs looked either confused or dismissive of the effort. Being more encouraged by the defectors joining his side than disillusioned by the jubilant anti-Nain movement, I expect him to continue his outreach and opposition. On the one hand I did observe an extremely creative, diverse and tongue-in-cheek merriment at Marche du Nain Rouge, I do hope that the interest in this central myth of Detroit folklore provokes a reexamination of the dwarf’s backstories that is at least more nuanced than black and white. If for nothing else, I love the fact that there’s a parade that exists due to the impression made on history by a little red dwarf. We need more celebrations and retellings of myths and legends in our world. Let’s just try harder to do them justice. The best thing about movie watching nowadays is you may watch them online. visit here for more interesting information. continue reading for more interesting information. Highly recommend for anybody who is on the lookout for some excellent TV shows like American Horror Story jasonraymckenzie.com. You should also remember that a few sites engage in surreptitious activities in disguise of movie on solarmovies.